One of the best things about diving a new site is finding interesting fish in the area and learning about their behavior. What’s even better is when the PADI Divemasters know where the critters hide out and let you in on the secret. We spoke with the PADI Pros at Anse Chastanet for their favorite finds on the dive-friendly Caribbean isle of St. Lucia. This elusive creature is a challenge to find and can be a photographer’s kryptonite. For protection from predators, frogfish are camouflage experts and able to blend into a variety of backgrounds. One of the most interesting things about a frogfish is the fishing lure hanging over its nose to attract prey. Come feeding time, its mouth can expand to 12 times its normal size. 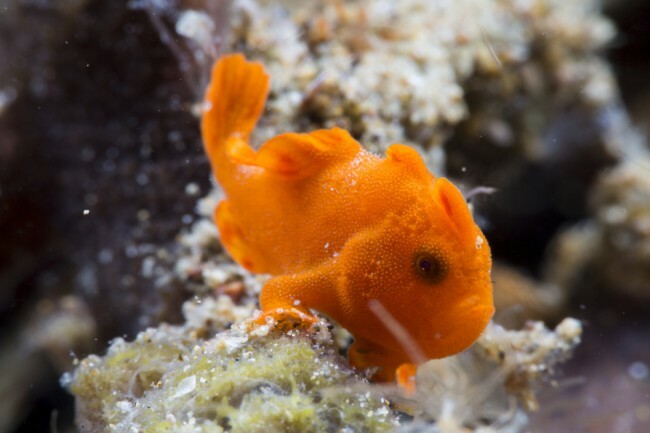 Finding a frogfish can turn a good dive into an amazing one. 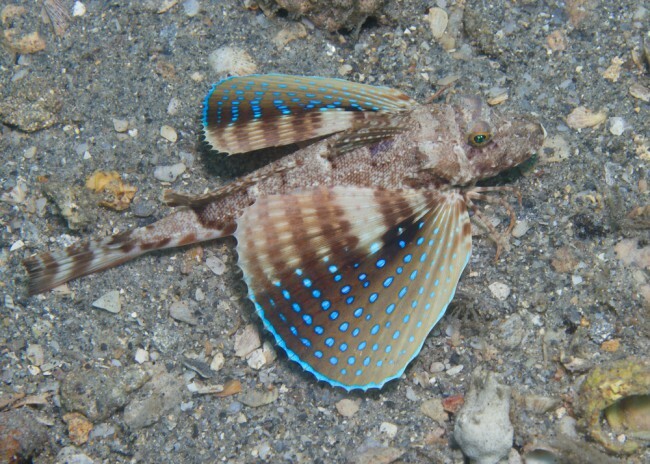 Divers usually see flying gurnards before they even get in the water. Although these fish are bottom dwellers, flying gurnards have a tendency to soar above the surface before diving back to the depths. Their elongated bodies, which can grow as long as 20 inches, make them a favorite for divers both above and below the surface. 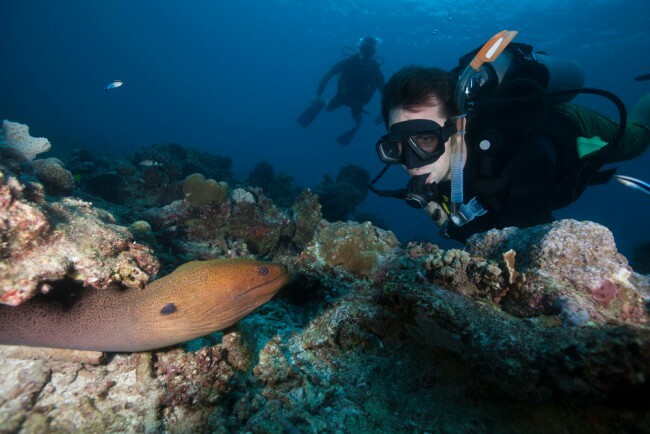 Eels get a bad rep among new divers because of their resemblance to a snake and their mouthful of sharp teeth. In reality, eels are relatively harmless unless provoked and prefer to stay in the confinement of the crevices along the reef. Finding a tail peeking out of the coral is a telltale sign one is nearby. 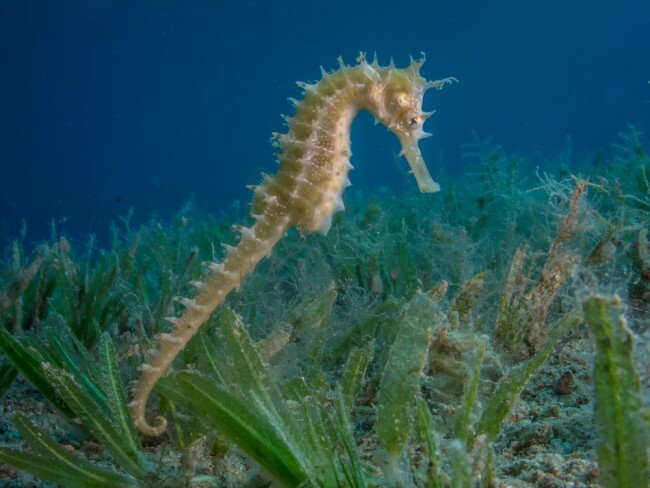 These underwater stallions don’t move around as much as their topside counterparts. 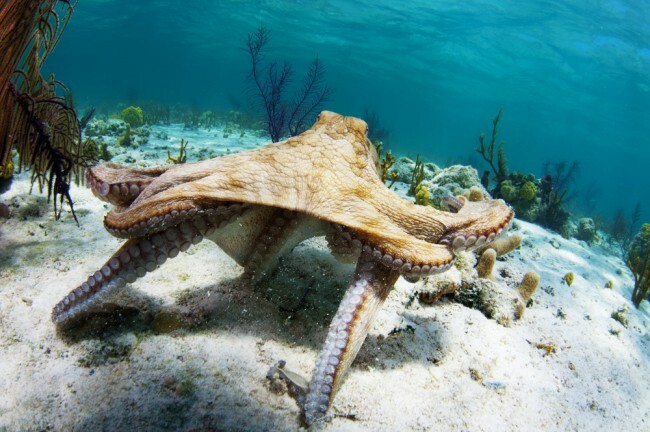 In fact, they tend to stay perfectly calm relaxing with their tails wrapped around a plant or coral. Much like the frogfish, seahorses are the masters at blending into their environment. And it if you’re lucky enough to spot a pregnant one with a protruding belly, it’s actually a male. Male seahorses carry eggs in their pouches anywhere from 10 days to 6 months. Ready to check out these creatures for yourself? St. Lucia is full of them!